0 Members and 1 Guest are viewing this topic. Read 223 times. So this review is a record of my latest audiophile journey with ST-10 and Harbeth M30.1. My first true hifi system was Focal 926 with STA-9/DAC-9, it sounded great in some aspect, and really bring me to this hobby, but it was also too bright for me taste, and lack a bit of musical enjoyment when playing vocal music. I tried to match it with an old Mcintosh solid state amp (entry level) but the result was not good neither. So in November 2018, I get myself a pair of Harbeth M30.1 and matched it with Accuphase A35. The A35 is a 30W class A. The sounds was smooth and sweet in this system, vocal is awesome. However this system is not perfect, it makes me misses the speed and clarity from my last Focal + Nuprime system. You never know what elements you really likes in the sound until you no longer have it. 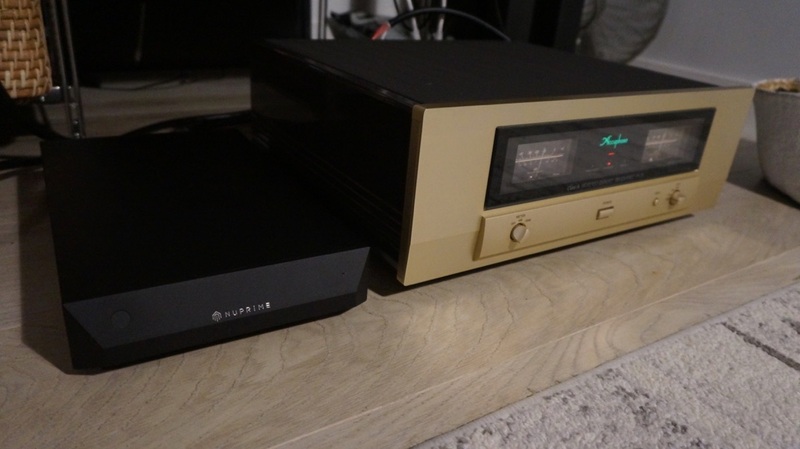 So two months later, I decided to replace my Accuphase with Nuprime ST-10. The ST-10 is about one thrid the cost of A35, so if it works it would actually save me money. And they did work together really well! So how does ST-10 sounds? It is a fast, clear, controlled, neutral amp. It can drive speakers that is hard to drive (M30.1 is only 85db), it can play different type of music very well, and cost so little compare to other big brands. It might not have the sweetness of Accuphase, the smoothness of Mcintosh, but none of these brands is as capable as ST-10, not unless you are willing to pay five times more the price. ST-10 can play vocal, instrument very well at the same time, allows user to enjoy different kind of music, which is a very important thing to me. I don't want my equipment to limit my music choices. Amp's power is more important than I expect. I once thought(hope) a quality "first watt" would be good enough to produce good music, this is why I purchased Acccuphase A35. Turns out speaker needs way more power. If you have a hard to drive speakers (and limited budget), then you really should try Nuprime's product.